Experience a mixture of elegant and family-friendly living at Gilder Creek Farm, a neighborhood that serves as the perfect marriage between functionality and class. Sidewalks ribbon alongside carefully manicured lawns which boast spacious, attractive residences. Residents have the luxury of carrying out their days with magnificent flora serving as the backdrop to all of their memories. Gilder Creek Farm is comprised of four different sections: The Meadows, The Oaks, The Glenn and The Valley. 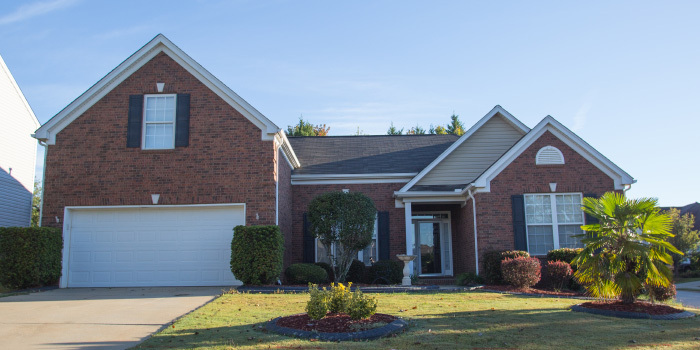 Each one provides a generous selection of brick and vinyl homes with varying floor plans suitable for all types of families. Sizes range from a quaint 1,600 sq. ft. up to over 4,000 and most are two stories. The more than 300 houses that exist in the community were built in the early 2000s, ensuring modern styling inside each one. Prices begin in the late 100s and top out around $350,000. Gilder Creek Farm is equipped with a large clubhouse that serves as the statement piece to the pool area. Residents can enjoy the clubhouse year round and the pool seasonally. 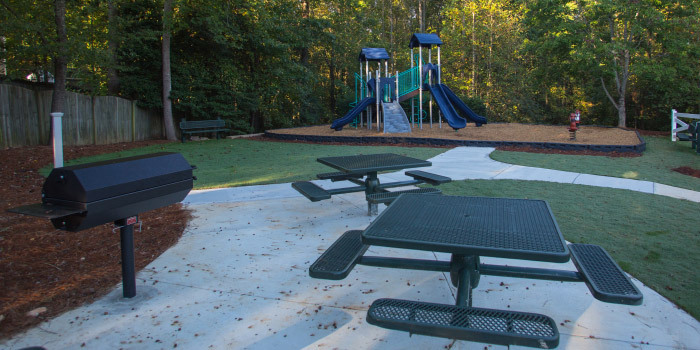 For further recreation, there are playgrounds, basketball courts and trails designated for walking. 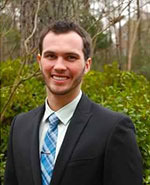 The schools near Gilder Creek Farm have received recognition for being exceptional in the state of South Carolina. Located at the popular Five Forks area in greater Greenville, homeowners at Gilder Creek Farm are in close proximity to supermarkets, coffee shops, restaurants, retail stores and more. If traveling more than a few minutes becomes necessary, I-385 and I-85 are very close by, as is all of the action of downtown Greenville where residents can lose themselves in historic, southern charm and the perks of modern progression. 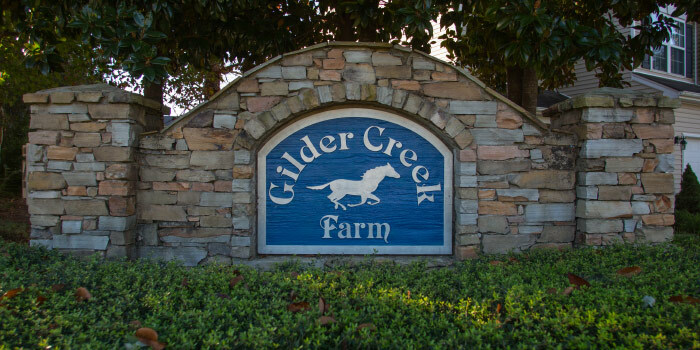 Call us today for a tour of Gilder Creek Farm and the homes for sale here.